The FuturiZe Bursaries application period has been extended until Wednesday 17th April 2019. You can access the FZ Bursary application form here. 16/4/19 update - Due to a previous technical problem on the application form which is now fixed, the deadline for applications for FuturiZe bursaries has been extended to Wednesday 17/4/19. We also welcome your opinions and input to the participatory process to prioritise and develop future scenarios in addictions through the FuturiZe consultation survey, which is a prior requirement for those applying for FZ bursaries. The FZ bursaries will support around 120 participants, who would otherwise not be able to attend the LxAddictions19 conference, arranging their travel, accommodation, and participation fee (with different elements covered depending on their varying levels of need), and allowing them to participate in the FuturiZe debate sessions. Input to the FZ participatory process: completing the FuturiZe consultation survey is a prior requirement to the application process (deadline 18h CET+1, 15/4/2019). Applications without a completed FZ survey wil be automatically disregarded. Scientific/professional excellence: The scope and achievements of the academic and/or professional practice of the applicant in accordance with their career stage (even at early stages) and the opportunities afforded by their sector and/or home country context. Geographic scope: Applications will be eligible from EU members and candidate countries, Russia, countries of the European Neighbourhood Policy framework, and other countries collaborating with EU countries on addiction policy issues. Under-resourced background: Applicants from lower income (GDP less than 90% of the EU average), less research intensive countries, early career stages and stakeholder sectors with scarce resources to fund their attendance at such events will be prioritised for funding if they fulfil the criteria for relevance, scope and achievements of academic and/or professional career and practice. Engagement in LxAddictions19: The potential for active engagement in the conference and/or Futures of Addiction strand will be prioritised and can be indicated, for instance, through the submission of an abstract to present at LxAddictions19 (in line with the requirements of scientific quality and formats of proposals), irrespective of whether the submission is accepted; or by a possible contribution to the future of addictions strand workshops, as explained in your letter of motivation. The selection process will aim to ensure balance in stakeholder profiles, gender, career stage and geography, as far as is possible. Please bear in mind that documents supporting applications should be clear and self-explanatory to facilitate selection. Please note that those already registered for Lisbon Addictions 2019 will not be eligible for a FuturiZe bursary. The EC co-funded project FuturiZe is collaborating with diverse stakeholders to design a series of interactive debates on key future scenarios in the field of drugs and behavioural addictions, as part of Lisbon Addictions 2019 (23-25 Oct 2019). FuturiZe is co-financed by grant Nº 806964 under the European Union's DG Justice Programme "Drugs Policy Initiatives" - Supporting initiatives in the field of drugs policy (JUST-2017-AG-DRUGS) from 01/10/2018 to 31/3/2020. 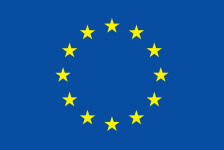 Views expressed in these website pages and materials do not necessarily reflect the views of the European Commission.